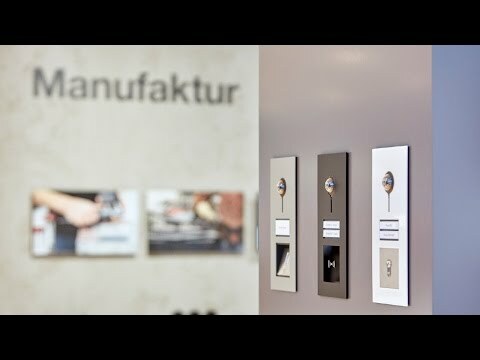 Welcome to Hager Manufaktur workshop: a joint presentation of three brands – Hager, Berker and ELCOM. We produce perfectly coordinated solutions, from individually configured cable ducts to unique switches and controls to the corresponding door intercom systems. Our portfolio ranges from modified series products to fully tailored special editions. This means we can add exactly the right personal touch that a building needs, whether it’s residential, commercial or industrial and it is all made in Germany. One-stop shopping! And as we work with state-of-the-art processes and tools, our highly customised solutions cost surprisingly little in terms of time and money.